The Alliance celebrates Earth Day twice in April! 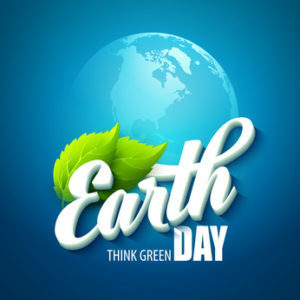 On Saturday, April 15, we join more than 30 other vendors and organizations at our Earth Day Festival, which takes place from 9:00 a.m. to 1:00 p.m. at the Farmers Market on Marin Street between Georgia and Virginia. The free fun includes jugglers, face painting, kids activities and music, Loma Vista Farm, and much more. Our table will feature Critters of Lake Chabot! Need more info? Visit www.ValcoreRecycling.org. Please join us for a creek cleanup on Saturday, April 22 from 9:00 to 11:00 a.m. Park at the Wardlaw Dog Park, then follow the path behind the park and across the bridge. Wear comfortable clothes, sturdy shoes, hat, sunscreen, and gloves. We’ll provide tools and refreshments. Cleaning up Blue Rock Springs Creek is a great activity for the whole family! Participants under 18 must be accompanied by an adult and have a waiver signed by a parent or guardian. For more, email info@VallejoWatershedAlliance.org.